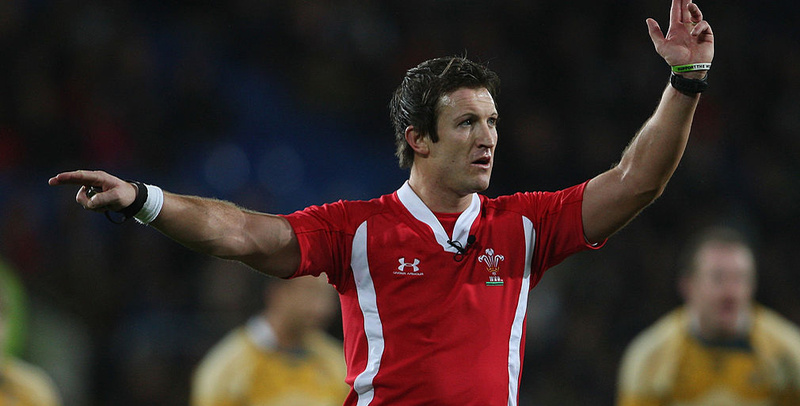 The rules of rugby, who better to explain them than a referee? We have asked former international and Rugby Union referee James Jones – who can look back on over 100 appearances as a top level referee – to guide us through the game and explain its specific lingo. Besides the basic rules of rugby, you’ll also find many interesting and lesser known facts about this tough and exciting contact sport. The name rugby is used for different sports around the world. To avoid complicating things, we’ll limit ourselves to a short description of the Rugby Union rules, by which most international competitions and tournaments are played. * The ball cannot be knocked forwards from a player’s hand. No forward passing or dribbling is allowed, The ball can only be moved forwards through carrying or kicking. Players are allowed to throw the ball laterally or backwards, though. * The goal of rugby is to score a ‘try’. There are several ways to score tries, but they all involve crossing the goal line and touching the ball on the ground. After scoring a try – which is worth 5 points – the scoring team gets the opportunity to kick the ball for a ‘conversion’, worth 2 points. To make a conversion, the ball has to cross between the goal posts above the crossbar. * Rugby allows a lot of physical contact. A player carrying the ball may be tackled and brought to the ground. Once a player has been tackled, he must release the ball, and both teams fight for possession. This is known as a ‘ruck’. * Fouls are penalized by a ‘scrum’. The eight forward players of each team bind together, three in the front, four in the middle and one at the back. In this formation, they push forward, while the team that didn’t commit the foul throws the ball into the scrum, hoping it comes out on their side. bwin: Can you explain the basics, the rules of rugby and how the game works? 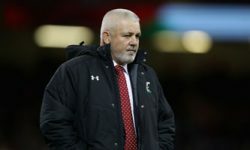 James Jones: Basically it’s an evasion game – the object of the game is to keep possession of the rugby ball, evade the opposition and score what’s known as a try, by placing the ball past the opposition try line whilst in possession of the ball. It’s not like American Football where you throw it. With Rugby, you have to be in control of the ball and place it on the try line and firmly on the ground. After you score a try, you kick what is known as a conversion, where the ball is placed on the floor in line with where that try was scored. The aim of a conversion is to kick the ball from a kicking tee placed on the ground and getting it to pass between the two upright posts and above the crossbar. There are two other means of scoring in Rugby Union: the penalty kick and the drop goal. A penalty kick is awarded as a result of a foul-play incident or other infringement resulting in a penalty. The penalty kick is also taken from a kicking tee on the ground, and is worth three points. The only other way of scoring is through a drop goal, in which a player drops the ball on the ground and kicks it as it bounces up. Three points are awarded when the ball passes between the two upright posts and above the crossbar. There is also something known as a penalty try, which can be awarded when a referee feels that foul play has occurred in such a way that it prevented a probable try from being scored. A penalty try is always awarded right underneath the goalposts, after which the conversion attempt is taken as normal. Rugby rules have changed quite a lot over the years. When the game was first introduced, there were very little rules and regulations. At a certain point, in order to give rugby a little more structure, referees were introduced to control the game, aided by an ever-growing set of rules and regulations. These rules are still evolving almost every single year. As the game gets more technical, more rules and directives will be introduced to control various aspects of the game. So, rugby as we see it today is a very structured game, whereas when it first started, it was pretty much a free for all, with very little rules or regulations. 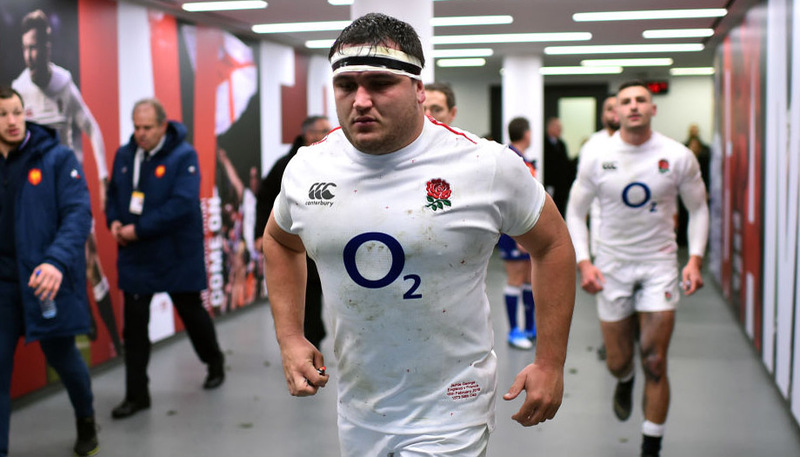 bwin: How can people get into playing rugby, what kind of training equipment do you need, and which tips would you give people starting as beginners? James Jones: The most simple way would be to visit your local club, you can probably start playing immediately. You do have to be aware that it is a physical contact sport, so while it caters to all shapes and sizes, you are almost certainly going to come into physical contact with some fairly large men or women. That is the nature of the game. But to get involved is fairly easy, just visit your local club and they’ll take you on, provided you are a fit and able person who is ready to participate. Basic rugby clothing would be shorts, socks and the jersey. In addition to that, you will need a pair of rugby boots, which are either studded or plastic, depending on how hard the grounds are. That’s all you need to play. Some players will wear protective items in addition to that. Some will wear gum shields; some will wear padding underneath jerseys. Unlike American Football padding, this is a soft padding that helps to protect player’s bodies from various impacts. We are currently also seeing a number of players who are wearing scrum caps, but the medical benefits of doing so are still inconclusive. 1. As the story goes, rugby was invented in 1823, when William Web Ellis – a student at Rugby School – started running with the ball in his hands towards the opposition during an old-fashioned football game. That’s where rugby originated. The rugby world cup is named after him: the Webb Ellis Cup. 2. Ever wondered why a rugby ball is oval? That’s because it has the shape of a pig’s bladder, the stuff the first rugby balls were made of. 3. Who are the reigning Olympic rugby champions? This may come as a surprise: The USA. They were the last team to win, in 1924. After these games, rugby ceased to be an Olympic sport. 4. The referee for the opening match at every World Cup uses the same whistle the Welsh referee Gil Evans used for an England-New Zealand match in 1905. 5. The All Blacks, New Zealand’s national rugby team, perform the haka (pictured below), a Maori war dance, before their matches. Considering their results, this appears to be an effective means of empowerment. 6. Basketball was invented by a rugby coach who was looking for some indoor sporting activity to keep his players fit during the off-season. 7. What was the first country where rugby became popular outside of the British Isles? You would probably never have guessed that it is Japan. As early as 1830, the game was introduced there by a Cambridge University instructor. 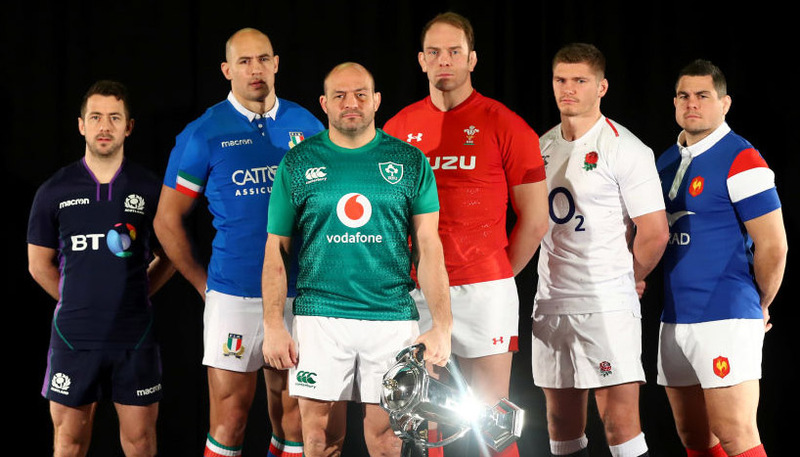 The top tournament in European rugby in which Scotland, England, Wales, Ireland, France and Italy contest each other for the European rugby crown. Exciting times for the players and fans alike! And a great occasion to start betting, if you’re new to the game. At bwin, we cover all games with a variety of betting possibilities and the most interesting odds.